Lancaster Door Service, LLC sells, installs, and services garage doors and garage door openers. We also sell and install replacement windows and entry doors. Whether you require emergency service or proactive preventive maintenance, our dedicated staff can assist you. 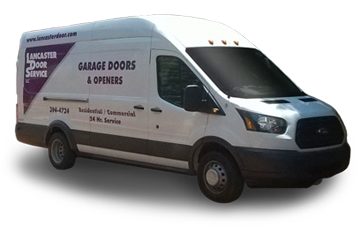 We service all makes and models of garage doors and openers. As certified Garaga® Experts, we proudly meet the highest standards of the professional garage door service industry. We install entire garage door operating systems and we perform professional repair services for all garage doors, hardware, openers, and other moving parts. In 2009, Lancaster Door Service, LLC and Lancaster Building Supply merged in order to better service all of Lancaster County's door and window needs. Our team of professional installers and maintenance service technicians are ready to serve you! We sell, install, maintain, and repair Commercial and Residential Garage Doors, Garage Door Openers, Garage Door Track Assemblies, Extension Springs, Torsion Springs, Hardware, Garage Door Operator Parts, and other mechanical door parts. 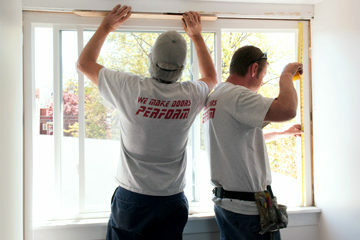 We also sell and professionally install replacement windows and entry doors. 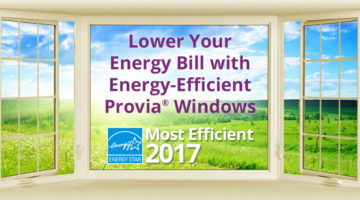 Our quality residential wood, aluminum clad, and vinyl fusion-welded Replacement Windows include Double-Hung, Bay, Bow, Garden, Casement, and Specialty Shapes. 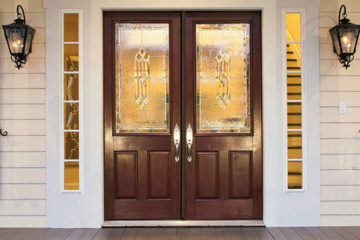 We can help you choose from a multitude of residential Entry Doors, Storm Doors, Basement Doors, and Patio Doors. Professional and reliable garage door and garage door opener installation services. Trust that your door is installed correctly. We perform expert maintenance and repairs for Garage Doors and Garage Door Openers of every make and model. Expert sales and installation of wood, fiberglass, and steel residential Entry Doors, Storm Doors, Cellar Doors, and Patio Doors. Sales and professional installation of top-quality wood, aluminum clad, and vinyl fusion-welded Replacement Windows. 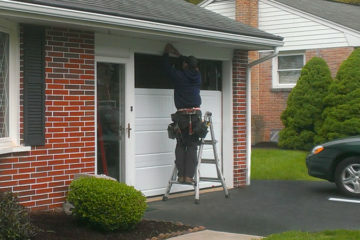 With over 20 years in business, we are your garage door experts in Lancaster, PA! From consultation to quotation, great service at a fair price is in the details. We are fully Licensed and Insured, putting trust and safety first! Service is our leading product! You can rely on us to be there for you. We will work with your busy schedule. We offer 24-Hour Emergency Repair Services. A+ BBB accredited business since 1999. Customer satisfaction guaranteed! Lancaster Door Service put new door frames around our double garage doors. The gentlemen arrived at the appointed time and were friendly & professional. Their work was top-notch and the frames were beautiful and well-made. I recommend them. Superior products, expertly installed. Entire crew and staff were very knowledgeable and professional. Highly recommended! Wow! What great service. I called this morning and they had Kevin here this afternoon. He was fast, professional and even oiled our other door to make sure that it would be working well. I would recommend them to anyone looking for door repair. Thank you for the excellent work you performed on our garage door. Your attention to detail, superb problem solving skills, and excellent customer service will keep us faithful and repeat customers. Very pleased with service call. No one tried to sell me more than necessary and the job was done in a reasonable amount of time. Andy did a great job and was very personable. I definitely recommend Lancaster Door Service. Lancaster Door Service replaced the spring system on one of our garage doors. They arrived early and did the work promptly. I was very impressed by their level of service. Kelly was very efficient and quick. In less than 10 minutes he had the cable reset and the door was working. Total job was around 1/2 hour. He was very professional. Lancaster Door Service replaced our French doors to our deck. 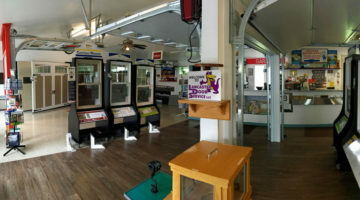 The doors are nice for the money and I was extremely impressed by their customer service. I was treated with respect and everyone was very nice in an authentic way. Andy did a great job, arrived early to replace springs. While on site he noticed that the opener was installed incorrectly so he moved and adjusted it for me. It was a good experience and they came very promptly. It was an emergency because I could not open the door. They came quickly and fixed it. They did a good job and the price was reasonable. The quality was outstanding and there was no problem. They were very satisfactory. Lancaster Door Service provides Lancaster County with the finest Garage Doors & Openers, Entrance Doors, and Replacement Windows available!